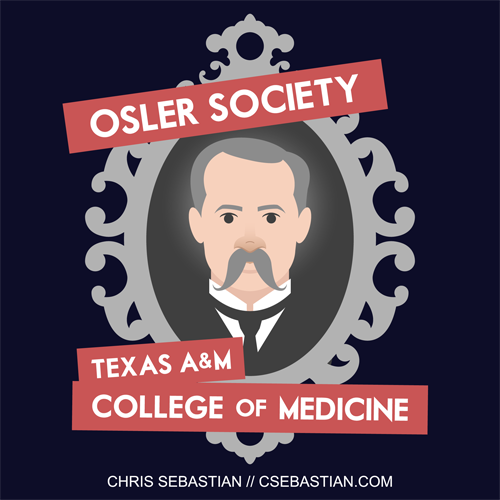 Texas A&M College of Medicine has developed a system of four societies into which medical students can be sorted. 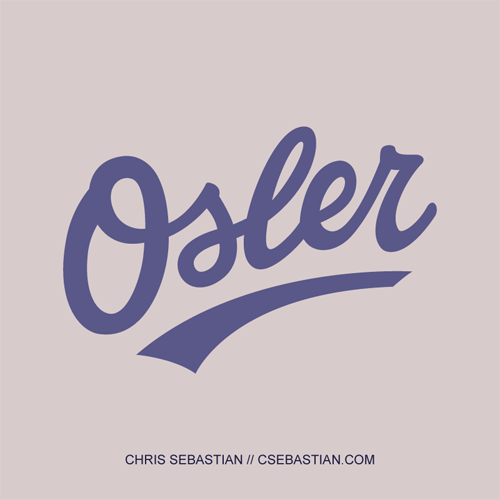 As a member of the Osler Society, I designed this script for use on t-shirts. Instead of using a pre-existing typeface, I constructed the script by hand using the pen tool. This was a proposed design for the t-shirts. 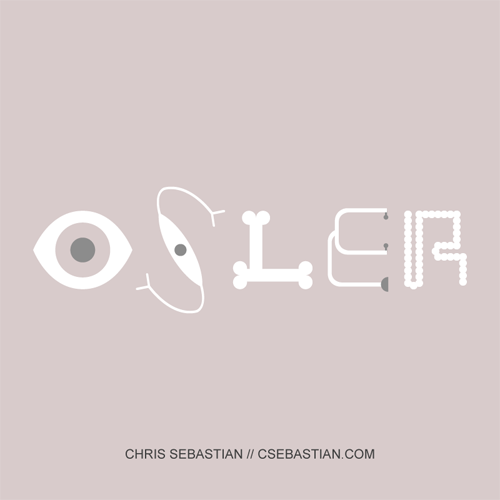 Letters were inspired by body parts and medical devices: eye, neuron, bones, stethoscope, and intestines. 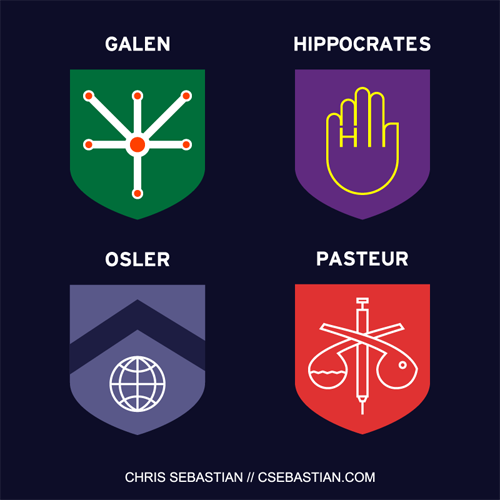 After researching the namesakes of the four societies, I designed unique crests. For Galen, I was inspired by the architecture of the cerebral veins and the expression all roads lead to Rome. For Hippocrates, I represented the Oath with another symbol of commitment: a ring, shaped like an H.
For Osler, a globe to symbolize the worldwide spread of his influence on medical education; the globe is also found in the seal of Johns Hopkins University, the institution whose medical school Osler helped to found. For Pasteur, a swan-neck flask, a rabbit, and a syringe, symbolizing his contributions to vaccination.